Over-all place: it's a 50-seater restaurant at the ground floor of the hotel. Quite a small space. If you are in for a buffet tripping with friends or love ones, there's a place you may want to try. 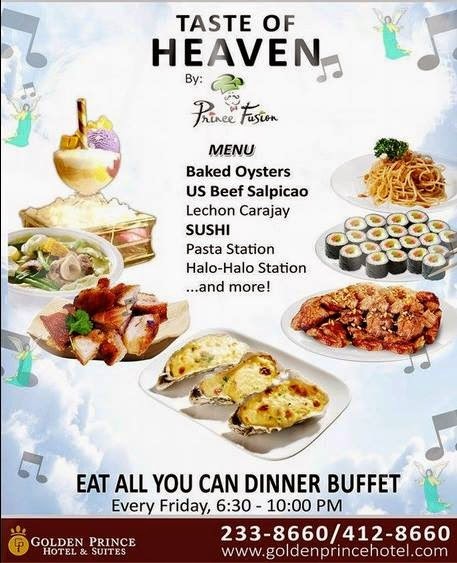 Introducing "Taste of Heaven" by Prince Fusion Gourmet Restaurant. 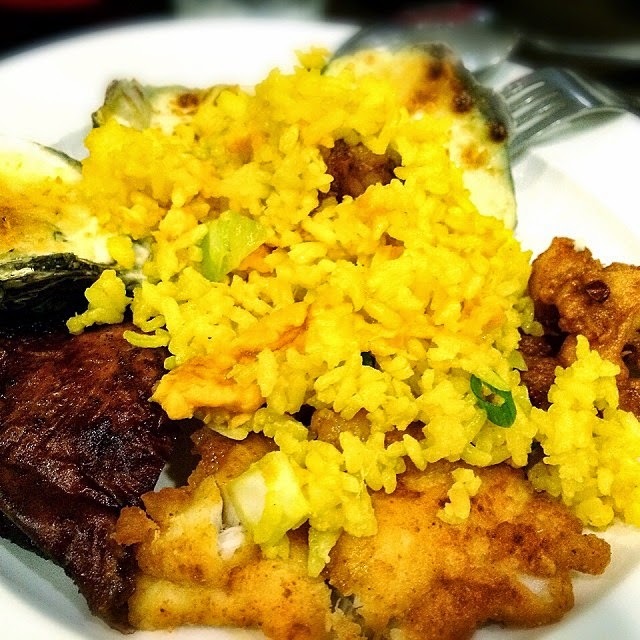 This Eat All You Can Dinner Buffet is very affordable! For the price of Php 385 nett/person (without drinks), you can simply enjoy food with a "taste of heaven" while dining at Golden Prince Hotel & Suites right at the heart of the city! I'm very privileged one dinner time to have lavished on with their Baked Oysters (highly recommended), Beef Salpicao, Lechon Carajay, SUSHI (something Japanese), pasta station (go Italian), their desserts like the moist chocolate cake that brings shivers to my bones as it's so good and of course their Halo-Halo where they claimed to be the best in the city (well, I quite agree!). 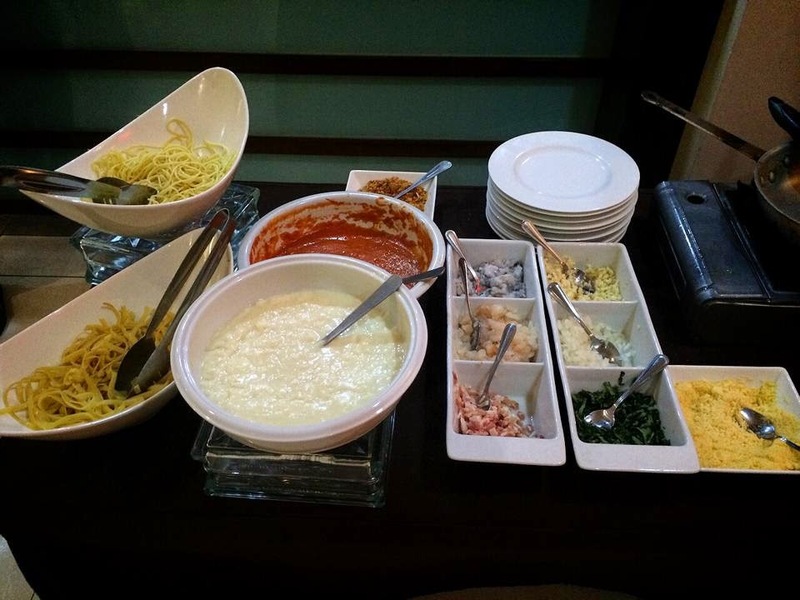 Aside from their dinner buffet every fridays, the Pasta All You Can every Wednesdays is something to look forward to! It comes with a Glass of Wine + Their Own Home-made breads. Price is at Php 250+ per head. Let me share with you what's on my plate at least to make you salivate! They say, eat like a KING! Well, for me, eat like a QUEEN. Feels like the same thing! 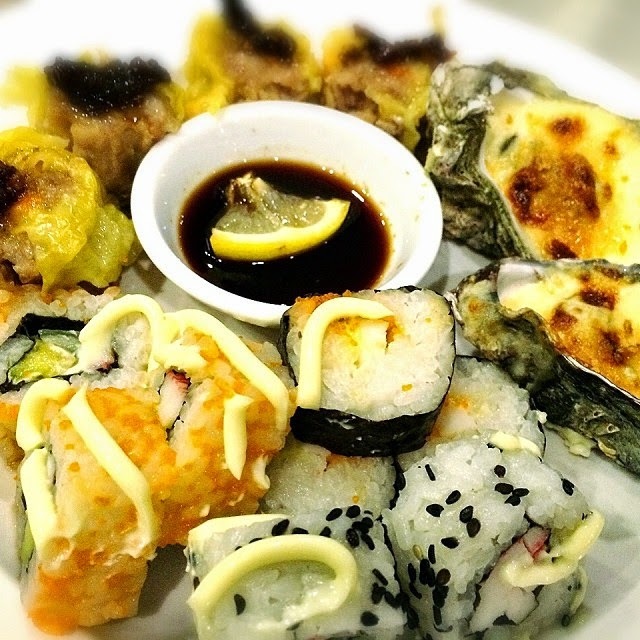 Tag along some Japanese with your Buffet! Enjoy the makis and the sushis! These Baked Oysters became an instant favorite of mine! Perfect aphrodisiac. Yeah, right! These look like the Pasta station. Should I say it's obvious? 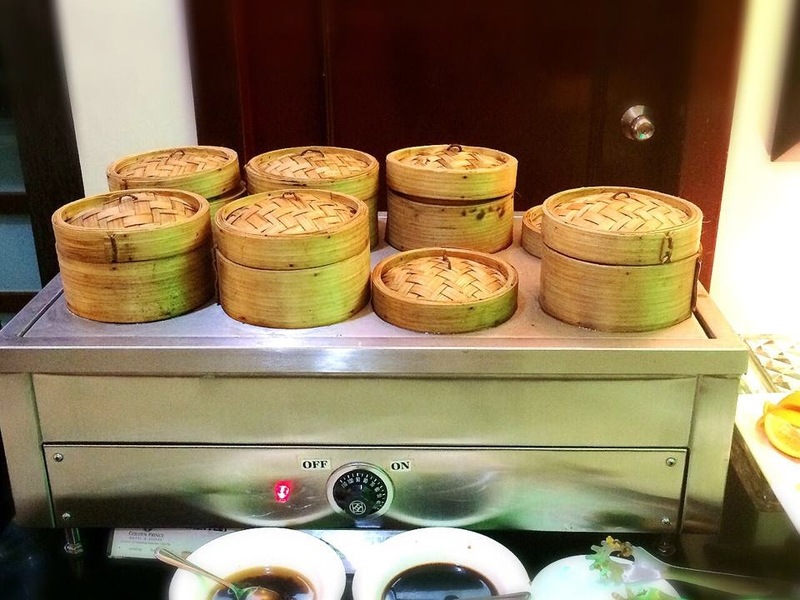 You will pretty enjoy an unlimited siomai by the look of it! A meal wouldn't be complete without the sweets! Oh, simply the desserts! 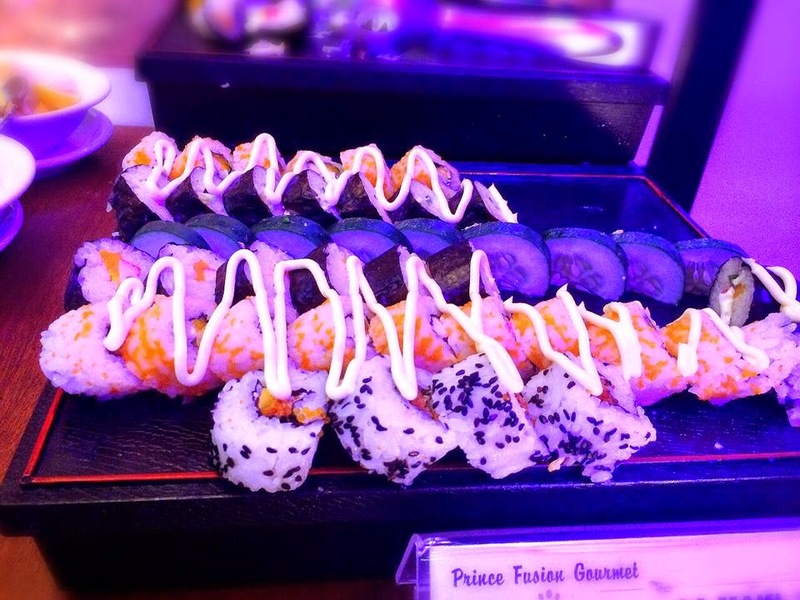 It's a must-try in Prince Fusion! These leche flan cubes are simply divine. Captivates my palate at an instant. They are very persuasive! 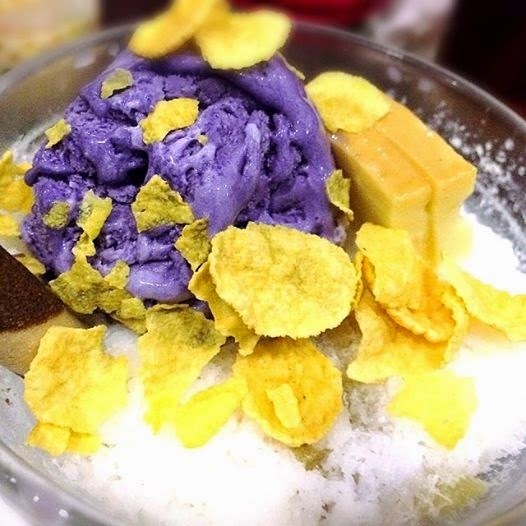 It's Cebu's Best Halo-Halo. Get a cup of it and try. Let me know what you think? There you go. That's my simple dinner story one night when I died and went to taste heaven! I thought it was just a dream. No! It's reality! I hit the gym the day after! Guilty pleasures as they say. I don't mind at all as long as it's pleasurable to my tummy! 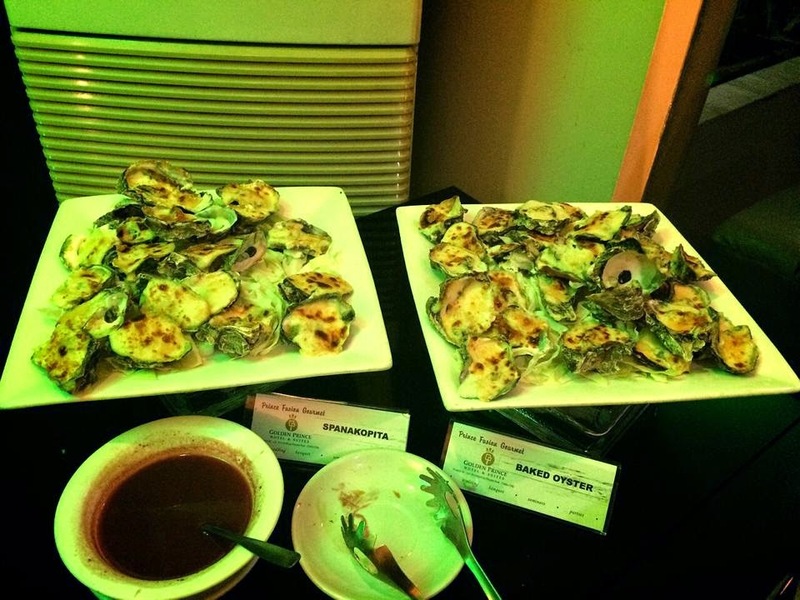 -Baked Oysters should be on top of your list! 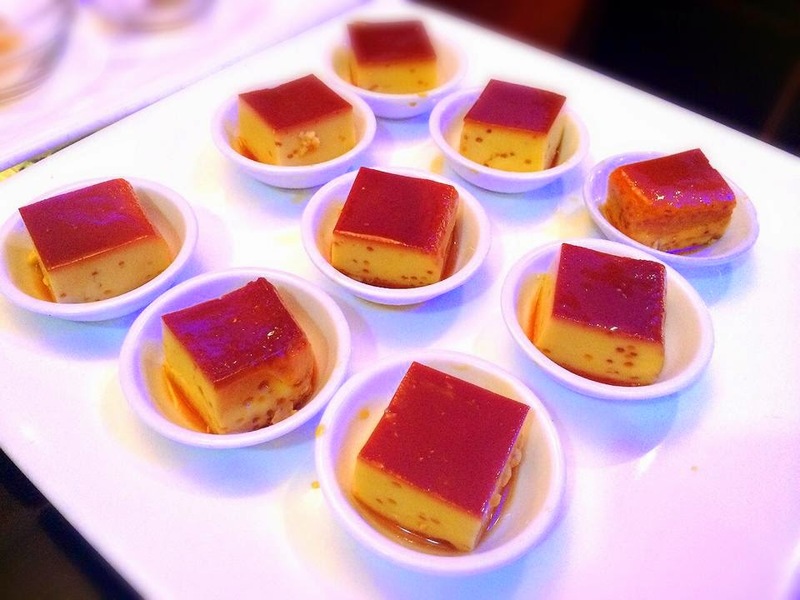 -If you're a fan of leche flan, it won't disappoint you. -A must-try is their moist chocolate cake.